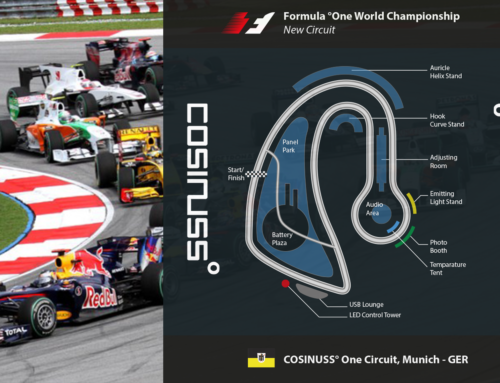 Until now the cosinuss° One in-ear sensor is only used onshore. 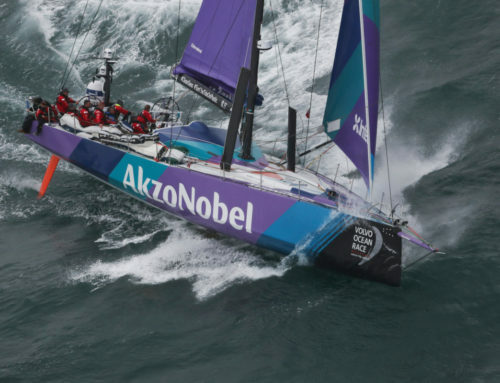 But how interesting would it be to use the sensor in the water? These interesting improvements mean a lot to you! Find out the secret of this new update for your swimming performance! 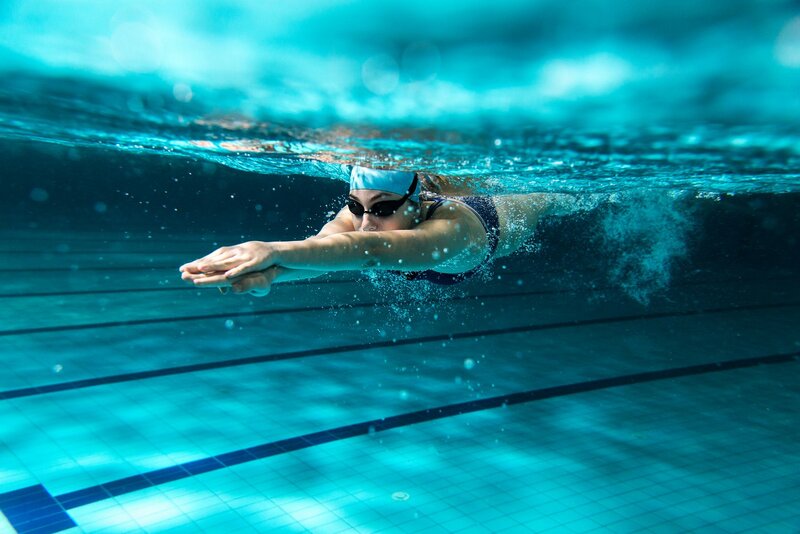 For every type of sports onshore, there is a possibility to measure your heart rate but in swimming it is a gap – we have to close it with our cosinuss°One! The current state of the art are chest straps which can measure your heart rate under water. To monitor this parameter during training a perfect fit on your chest is important. Otherwise the values are incorrect. This is a major issue because the strap does not allow a perfect fit for everyone, especially for male athletic swimmers. The reason why male swimmers have more problems than female swimmers are that they don’t have the extra support of a swimsuit. Currently your only alternative is the classical method for pulse measurement: counting pulse with the finger on the neck. This results in inexact values. So, this area is a new exciting topic for us. We want cosinuss°One to measure your heart rate – reliable and continuous. We took the first step and made the cosinuss° One ready for measuring acceleration data in the water. 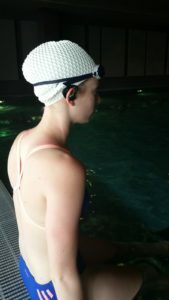 To check the reliability our trainee Astrid was testing cosinuss° One during breaststroke and crawl. The primary goal of this investigation was to receive sensible data. At first we pay attention to two things: On the one hand to the quality data, and on the other hand the transfer rate. The tests took place at our partner ELEMENTS Fitness und Wellness, a modern fitness and wellness studio in Munich, that even provides a sportive swimming pool. Every morning three times a week she went to the studio. Always warmly received she took her swims and then came to our office for analyzing the data. This data is showing the three dimensions and its specific acceleration during the two styles. With mathematical calculations a differentiation between breaststroke and crawl is possible. We thank ELEMENTS Fitness und Wellness for the good collaboration. For you, it is also important to have exact details about your vital parameters, in order to continuously improve your performance. By analyzing the data, deficits can be identified and trained specifically. By means of the acceleration data the respiratory frequency can be calculated. Based on the resulting respiratory frequency, you can draw conclusions about the possible swimming style. Including heart rate measurements this data gives you more information about your training condition and the training level. Find out more about the advantages of this innovation and visit us at CEBIT 2018 or on our Website www.cosinuss.com. The area of application for monitoring vital parameters is not only for competitive sport. As well it could be used in health care. For example, in aqua-fitness for obese patients the heart rate is important as an indicator for individual critical condition of health. If heart rate exceeds the limit the person must interrupt the exercise immediately to avoid health risks. Using cosinuss° One as a flexible in-ear sensor could be a good solution for a reliable monitoring in these conditions. Are you ready for your update? The next step we want to realize is data storage without a terminal device. So, a modified Cosinuss One° could be used for all performances in water. This will be a new dimension for fitness and competitive sport. We are excited to make new experiences in this area. This will be your racing dive in the water with an innovation and a better performance!